The Club Chairperson is seen as a figurehead for the Club and is an elected member of the committee with responsibility for overseeing the running of the club. To oversee the development and implementation of accreditation and development programmes e.g. club development plan, clubmark and CASC status. .
To liaise with Head Coach, ensuring appropriate coaching levels are in place. The Treasurer of the club is responsible for producing and managing the club’s accounts and finances and will be responsible for all income and expenditure for the club. The Treasurer should report to the Club Chairperson. The Club Secretary provides a central point of contact for administration, information and communication. It is the Club Secretary who initially deals with all correspondence and communications, and is key to the smooth running of a club. The Club Secretary also provides a link between members, potential members and external organisations, e.g. Cascades, ABC Council, Swim Ulster and Swim Ireland. The Club Secretary should report to the Club Chairperson. To ensure contact details of all members, committee members, other key club personnel and Swim Ulster and Swim secretaries are updated. To keep records of complaints and contracts regarding the dealings of the club. Records shall be kept for a minimum of 3 years. 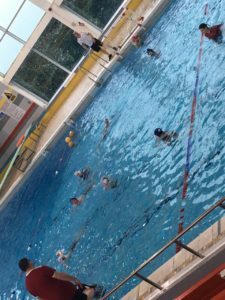 The Membership Secretary of a club deals with the day to day registration of the club members with Swim Ulster and Swim Ireland, and the annual membership renewal process at the beginning of each year. The role involves inputting and submitting these registrations/renewals via the Online Membership System (and is the key link between the club and the SU/SI Membership Office. Provide the Treasurer with accurate membership details so the Treasurer can collect relevant payment. Liaise with the Head Coach to ensure that all appropriate swimmers are registered to swim in the appropriate competitions. The Club Children’s Officer shall be child centred in focus and have as the primary aim, the establishment of a child centred ethos within PASC. The CCO shall be the link between the children and adults in PASC. The CCO shall take responsibility for monitoring and reporting to PASC committee on how club policy impacts on young people and their Sports Leaders. The CCO shall hold an up to date certificate of Child Protection from ISC/CNI/NISC and be familiar with the Code of Ethics and Child Welfare Guidelines of Swim Ireland. Any concerns or disclosures relating to child abuse shall be reported to the to the statutory authorities. Input and check data into computer for meets. 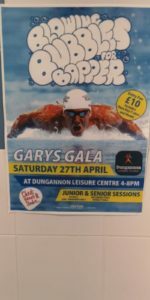 Liaise with Swim Ulster and Swim Ireland as relevant for any galas. Reporting to the club chairperson, the committee are responsible for supporting the Chair, Treasurer, Secretary and Club Officers as required. To manage the relationship with the club kit supplier, in managing the shop online and club order night. To receive information on any educational matters, and to pass that information down through the club members. To support and advise any club member that wishes to further their qualification or experience in connection with swimming teaching/coaching that may benefit the club. All committee members to keep abreast of club developments and support the achievement and implementation of a club development plan, clubmark accreditation and CASC status. To ensure that catering arrangements for home galas are communicated in a timely manner to members via the club’s communication channels. Ensure all volunteers are aware of the child protection policy.